The University of North Alabama’s online Master of Education in Special Education (MAEd in SPED) program is designed for educators who are passionate about teaching and who have a desire to improve the lives of children with special needs. The graduate collaborative program offers a pathway to graduate-level (Class A) certification for those with undergraduate (Class B) licensure in any teaching field. Students in this program complete 36-39 graduate credits, depending on the selected grade level range (K-6, 6-12, or concurrent pursuit of both levels). All courses are research-based and include methods for teaching students with mild, moderate and severe disabilities. Participants will learn to create an inclusive classroom environment, to implement differentiated instruction, and to provide the appropriate level of support to each of their students. 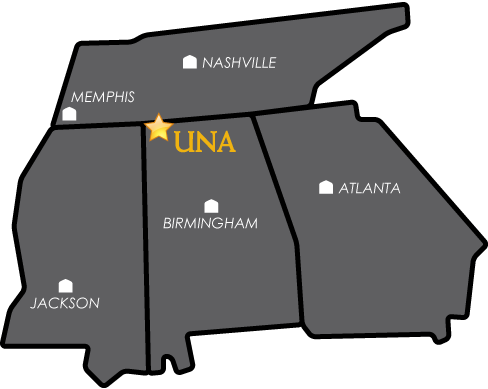 The graduate collaborative program at UNA prepares knowledgeable and innovative educators to meet the unique needs of diverse students and to focus on student achievement.